NEWINGTON - Three new faces are gracing the treatment rooms and fitness center inside Damato Chiropractic Center at 123 Lowrey Place. The practice has grown exponentially since moving to the 7,500-square-foot facility two-and-a-half years ago. Dr. Eric Damato founded the company in his hometown of Newington 16 years ago. In the time since, the company has grown to 22 employees and more than tripled its client base. Massage therapists and exercise therapists join four doctors in providing a variety of services. In addition to chiropractic care they also offer massage therapy, athletics and rehabilitation, health and wellness guidance and life coaching. 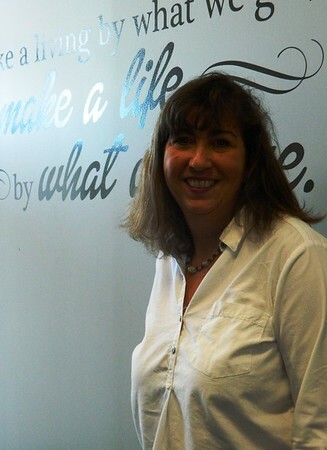 The newest team member is Public Relations Coordinator Tara Gumprecht, who brings over 20 years of experience in marketing and communications to Damato. “I’m looking forward to working with patients, really understanding why they come to Damato and what we can do to make their experience even better,” Gumprecht said this week. Massage therapist Rayden Spano is the second new recruit. A graduate of Cortiva Institute, Spano practices Swedish, trigger point and deep tissue massage. 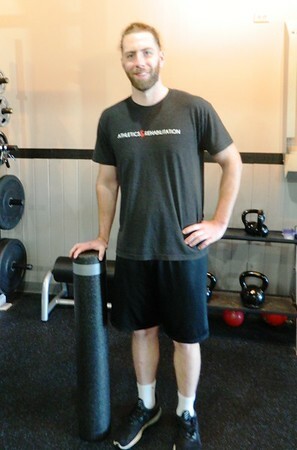 He specializes in helping clients relieve pain from injuries and return to feeling their best. Chiropractic adjustment is gaining an increased respect in the field of traditional medicine. Trained specialists use their hands or a small instrument to apply a controlled, sudden force to a spinal joint, correcting structural alignment and improving the body’s physical function. Athletes and people who work in physically demanding careers benefit from chiropractic at Damato, but are also building their strength inside the facility’s state-of-the-art fitness wing. The newest member of this team is Exercise Therapist Brian Roberson, whose specialties include weight management, sports performance and personal training. It was a neck injury that Roberson suffered a few years back that led him to pursue this career. “Having personally experienced how exercise can be used to help reduce pain and improve quality of life, my goal is to help others experience those same benefits,” he explained. Damato’s current clients are invited to take advantage of a Halloween special Oct. 29-31. Children who show up in costume can receive a complimentary adjustment. Patients of all ages and needs are welcome, from newborns and pregnant women to office professionals, athletes and seniors. The practice also serves players of the Hartford Wolf Pack and other local sports teams. Hours: Mon.-Thurs. 8:30 a.m.-12 p.m., 2:30-6 p.m., Fri. 2:30-6 p.m., Sat. 8:30-12 p.m. closed Sun. Erica Drzewiecki can be reached at 860-801-5097, or edrzewiecki@centralctcommmunications.com. Posted in Newington Town Crier, Newington News on Thursday, 18 October 2018 17:14. Updated: Thursday, 18 October 2018 17:16.